The Duchess of Kent has hosted a concert for young musicians from less advantaged backgrounds who are being supported by Future Talent to develop their musical abilities. Future Talent supports young people between the ages of 5 and 18 who would not otherwise have the financial means to develop their musical talent. 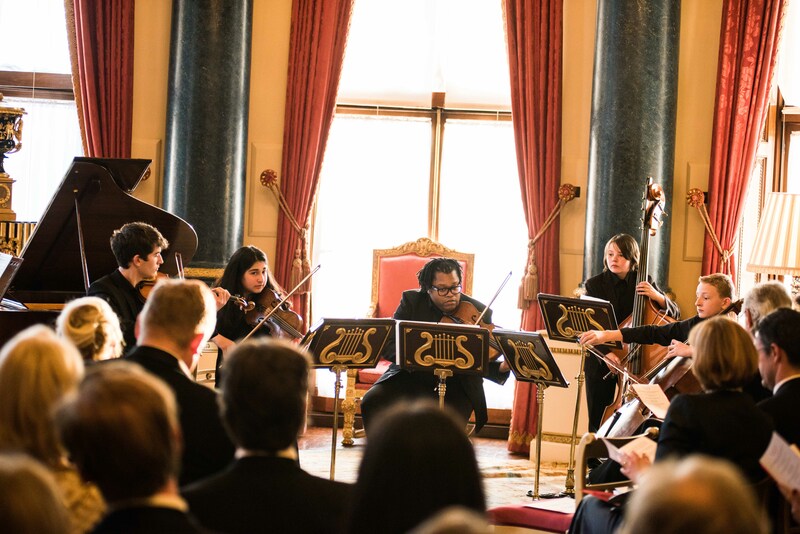 Being able to perform the Boccherini quintet at Buckingham Palace was a huge opportunity for me. During the concert at Buckingham Palace, Ezo, Willard, Eden and Roman played with their mentor Clifton in a string quintet, and Billy played a folk set on his violin accompanied by blues guitarist Ramon Goose. 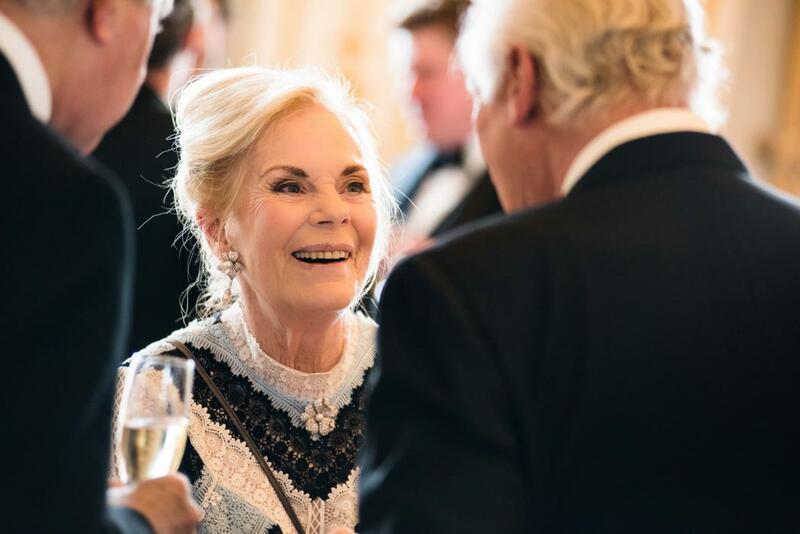 The Duchess of Kent helped to set up Future Talent after seeing the lack of support available to talented young musicians during a number of years spent teaching music in primary schools. "Being able to perform the Boccherini quintet at Buckingham Palace was a huge opportunity for me" said Ezo, after the concert. "It was a fantastic opportunity, as I was able to experience a new style to concerts. 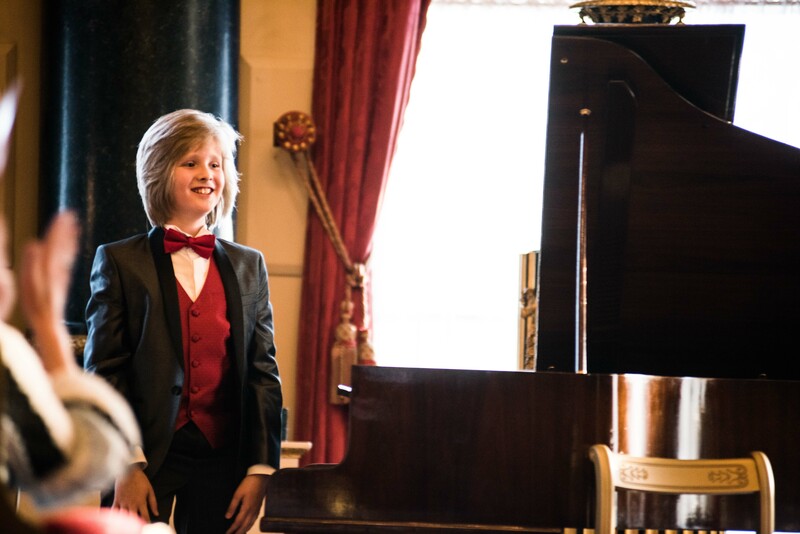 I had a chance to perform with other Future Talent musicians, which was a great experience!" To find out more about the work of Future Talent, visit www.futuretalent.org.uk.